In Grow Your Own Herbal Remedies, Groves provides 23 garden plans specially tailored to address the most common health needs, along with simple recipes for using each group of herbs. Discover the three to six herbs that are most effective for what ails you, whether you’re seeking headache relief, immune support, stress relief, or a simple daily tonic. For chronic stomach problems, marshmallow, plantain, rose, fennel, and calendula make the perfect medicine, with recipes for tummy tea and gut-healing broth. 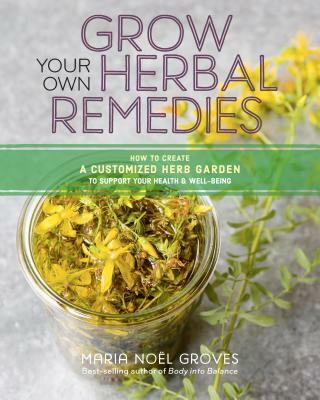 Groves teaches you how to plant, harvest, and care for each medicinal herb, and in all of her plant suggestions, she emphasizes safe, effective, easy-to-grow herbs that provide abundant harvests and can be planted in containers or garden beds.